What is The Helen North Achieve Programme? 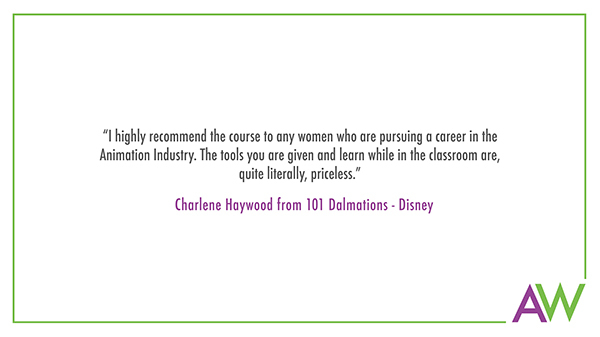 The Helen North Achieve Programme is an intensive introduction to strategic career management for women in vfx and animation. 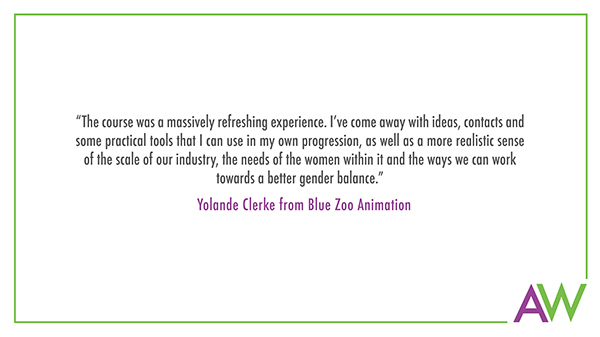 Funded by the ScreenSkills Animation Skills Fund with contributions from UK animation productions and with additional support from Escape Studios the programme addresses real challenges and barriers in order to help women fulfil their potential. Now in its third year, the programme is run by acknowledged career development experts, informed by in-depth industry research* and input from renowned vfx and animation experts including Louise Hussey, Executive VFX Producer at Industrial Light and Magic and Beth Parker, Senior Manager, Production (Animation) EMEA at Disney. The goal of this highly interactive programme is to help participants to help themselves by developing a much greater understanding of how to manage their own careers within a supportive network of like-minded professionals. 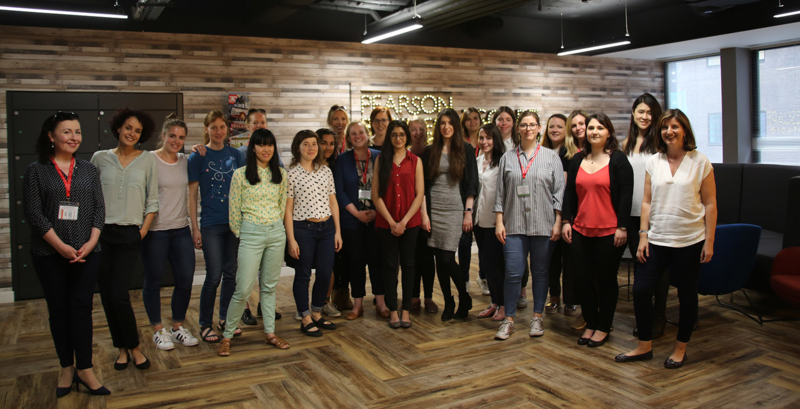 Animated Women are offering the opportunity for 24 of their members (12 women from each sector) to take part in The Helen North Achieve Programme. 8 senior women who have already achieved a lot but are still seeking to reach their full potential, with a genuine interest in helping less experienced women to build fulfilling careers in their sector. 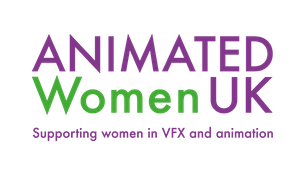 The programme is open to all Animated Women UK members, regardless of career stage, who want to progress within the animation or vfx industries, but don’t currently feel armed to do so effectively. Not a member yet? Why not join? It's only £30 per year. The course has been specially timetabled from 6-9pm at central London locations to enable participants to slot it in around work. A limited number of travel bursaries may be available for those based outside of London. It is also worth checking with your company HR team as your employer may choose to fund your place as part of your personal development. Applications are now closed for our 2019 programme. Thank you to everyone who applied. If you have a marketing or press enquiry, please email Lucy Cooper. Helen was Career Development Director on the AWUK Board. 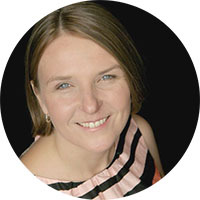 She spent her early career at Skillset pioneering training programmes across the Creative industries. Her determination to drive for gender equality led her to AWUK. She became one of the original board members in 2014 and her voice was always a vital, caring and direct contribution to any discussion. Helen was the architect and driving force behind our Achieve Programme, which focuses on career development for women in VFX and Animation, and we are incredibly proud to continue the great work she started in her name. ScreenSkills is the industry-led skills body for the UK's screen-based creative industries - animation, film, games, television including children's TV and high-end drama, VFX and immersive technology. We work across the whole of the country to ensure that UK screen has access now, and in the future, to the skills and talent needed for continued success. Escape Studios offer undergraduate, postgraduate and short courses in Visual Effects (VFX), Game Art, Animation and Motion Graphics. We work with an impressive list of industry partners to design and deliver our courses, from MPC, Cinesite, Framestore and The Mill, through to Jellyfish, Milk and BlueBolt, to name just a few!